2011 has been one of the hottest driest summers on record. When rain did occur it was hard and fast causing temporary flooding in many areas. 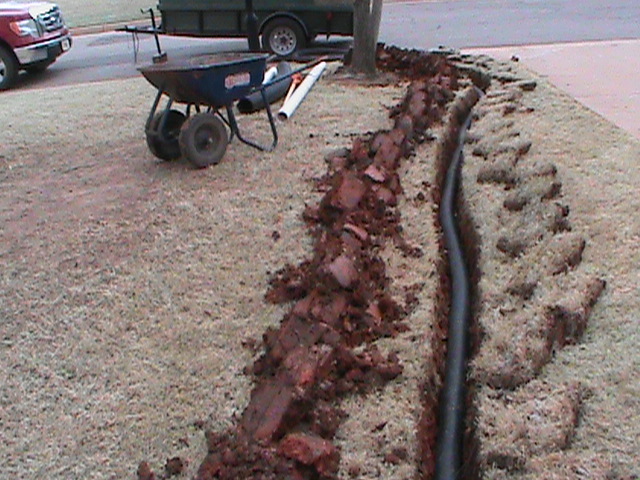 CMG installs Lawn Sprinkler Systems to deal with the dry times and Designs Drainage Systems to deal with the heavy rains that are frequent to Oklahoma. 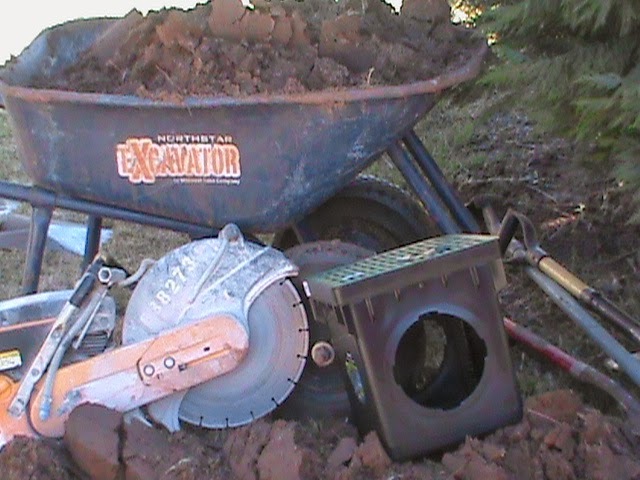 Do you have Drainage Problems? Every time it rains, Do you have water standing on your driveway? 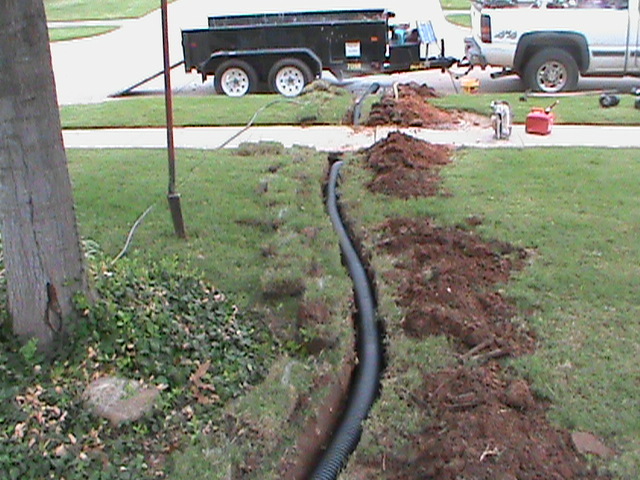 Do your gutters turn your sidewalk into a moat? Does the side of your house turn into a swamp after a thunder-storm? Standing water causes several problems such as dead grass, sidewalk and foundation deterioration and MOLD to name just a few. If you have water seeping into your home things can get even worse. 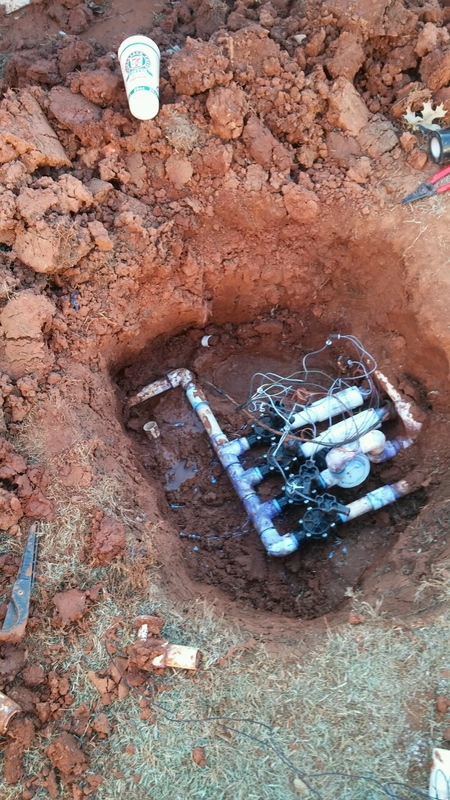 CMG Sprinklers and Drains tackles these types of Drainage Problems and many other with the installation of: FRENCH DRAINS, SURFACE DRAINS, CHANNEL DRAINS, BASEMENT DRAINS, TRENCH DRAINS, BASIN DRAINS, GUTTER DOWNSPOUT CONNECTS, AND SUMP PUMP INSTALLATION. 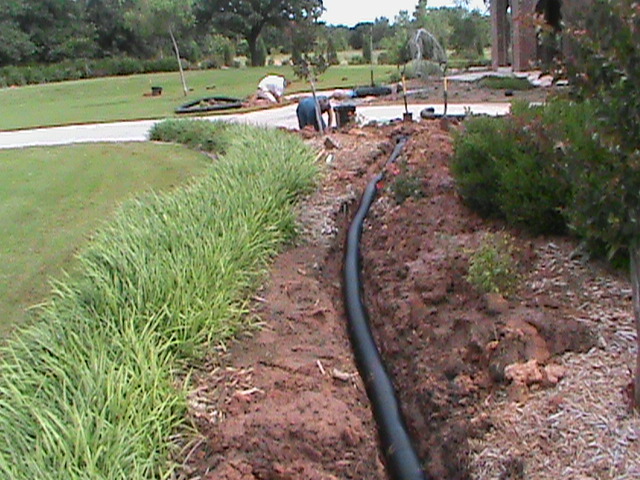 CMG can diagnose your drainage problem and design a drainage system just for your specific needs. We are experienced! 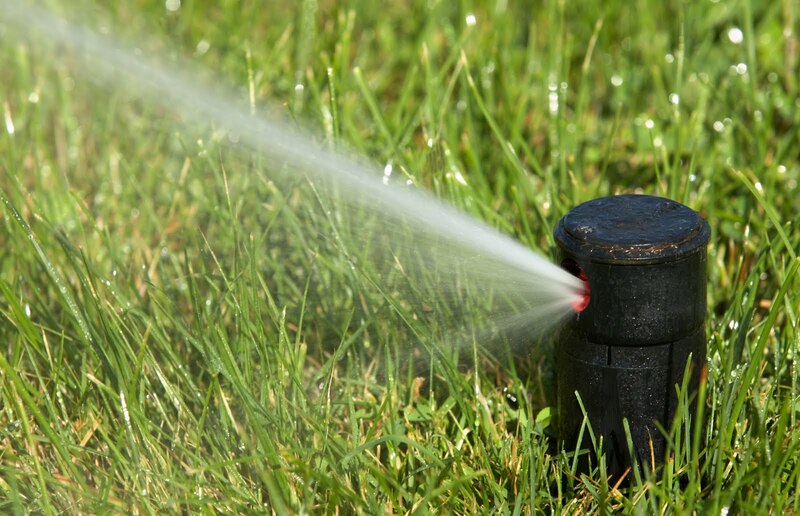 CMG has installed all types of drains, Lawn Sprinkler Systems, and provided expert Sprinkler Repair since 1993. Servicing: CENTRAL OKLAHOMA, NORMAN, OKLAHOMA CITY, MOORE, EDMOND, MIDWEST CITY, DEL CITY, MUSTANG, YUKON, BLANCHARD, CHICKASHA, AND PURCELL.